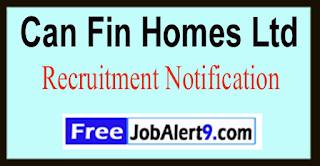 CFHL (Can Fin Homes Ltd) Has Released Recruitment Notification For 65 Junior Officers, Junior Management Trainee Posts. 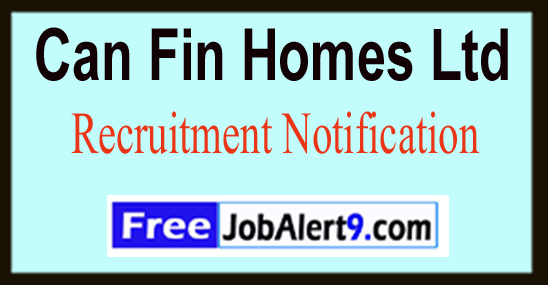 All Eligible & Interested Candidates Can Apply Online.Further Detailed Information Regarding Educational Qualifications, Age Limit, Selection Procedure, Exam Pattern, Syllabus for CFHL (Can Fin Homes Ltd) Recruitment 2017 - 65 Junior Officers, Junior Management Trainee Post is mentioned below. Age Limit - Candidates age should be between 21 to 28 -Years As on (01-04-2017) (Junior Officers).Candidates upper age limit should not Exceed 35 Years (Chief Manager), 28 Years (Manager/JMT). Pay Scale - Rs. 2,52,300/- PA (Junior Officers), Rs. 40,500 - 51,300/- (Chief Manager), Rs. 25,000/- (Manager), Rs. 17,850 – 34,700 (JMT) . How To Apply - All Eligible & Interested candidate fill the online application through official website http://canfinhomes.com before / (6th June 2017). Deadline for Submitting Online Application Form Is - 06-06-2017. Click Here For CFHL Recruitment 2017 Detailed Advertisement 1. Click Here For CFHL Recruitment 2017 Detailed Advertisement 2.